OWATONNA, Minn., June 29, 2017 - Southern Minnesota Initiative Foundation (SMIF) is accepting applications for its new Small Towns Grant program. Towns with populations of 5,000 or less in its 20 county region are eligible to apply. Ten grants of up to $10,000 each will be awarded. 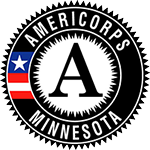 IRS-designated 501(c)(3) nonprofit organizations and units/agencies of local, state, and federal government in southern Minnesota can apply. Priority will be given to applications that demonstrate an asset-based, collaborative approach; the ability to leverage funds; sustainability of funding; measurable results; and an effective solution to enhancing community vitality. All Small Town Grant applications will be due August 31, 2017, and the grant awards will be officially announced at SMIF’s Annual Luncheon on October 17, 2017. For application and guidelines, visit www.smifoundation.org/smalltowngrants. For more information, contact Jennifer Heien, Grants Coordinator, at 507-214-7040 or jenniferh@smifoundation.org. “This is our second newest program initiative meant to support our smallest communities,” said Penny. “Rural Entrepreneurial Venture (REV) applications are being accepted through July 14. Five communities will be selected as REV communities.” Communities interested in applying can learn more at www.smifoundation.org/rev.